I have user specific data in a table on my smart contract that I don't want others to see. Can I encrypt that data with a public key of the user? If possible then how to encrypt that data with the public key? Then how will the user decrypt that data with their private key? Yes, but you would encrypt and decrypt off-chain while only storing the encrypted data and other necessary data in the blockchain state. let message = "my message"
// Create another keypair for this encryption. The diagram below from this blogpost illustrates the process performed. Let's you encrypt a string with a public key, decrypt with the corresponding private. // => Private Message, shhhh! Not the answer you're looking for? Browse other questions tagged smart-contract cryptography privacy or ask your own question. 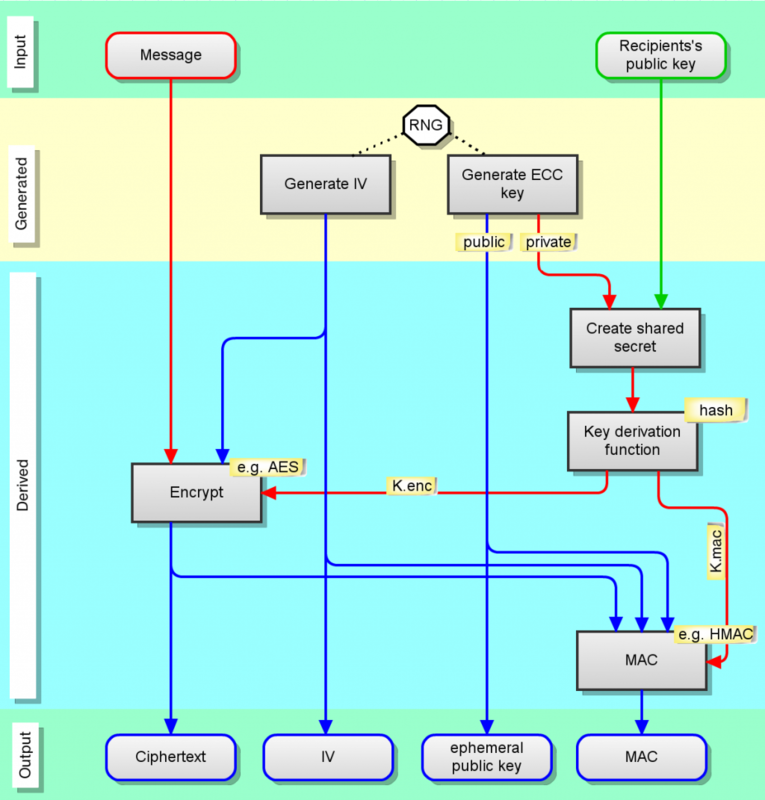 Is it possible to encrypt a message with someone public key and decrypt with only his private key? Can a smart contract bill the RAM storage to another smart contract? How to publish an auditable EOS Smart Contract in a trustless way? Is there any API in EOS Smart Contract to decrypt message?